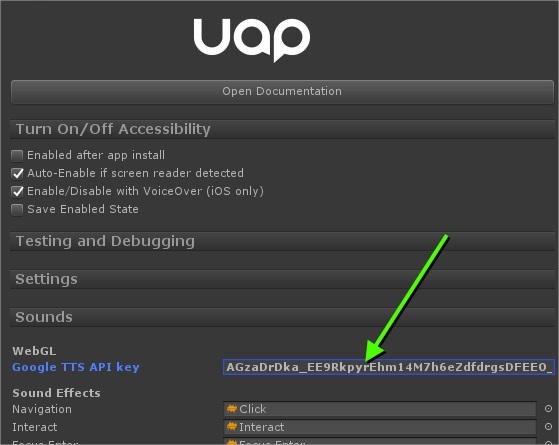 kindly can you guide me how to include external TTS plugin in 1.0.4 for web, couldnt find it in documentation. Please update to version 1.0.5a of the plugin, because the TTS system has changed. It is now a LOT easier to integrate with any third party TTS system, and there is documentation and sample code included. Nice to see your plugin hitting other platforms. 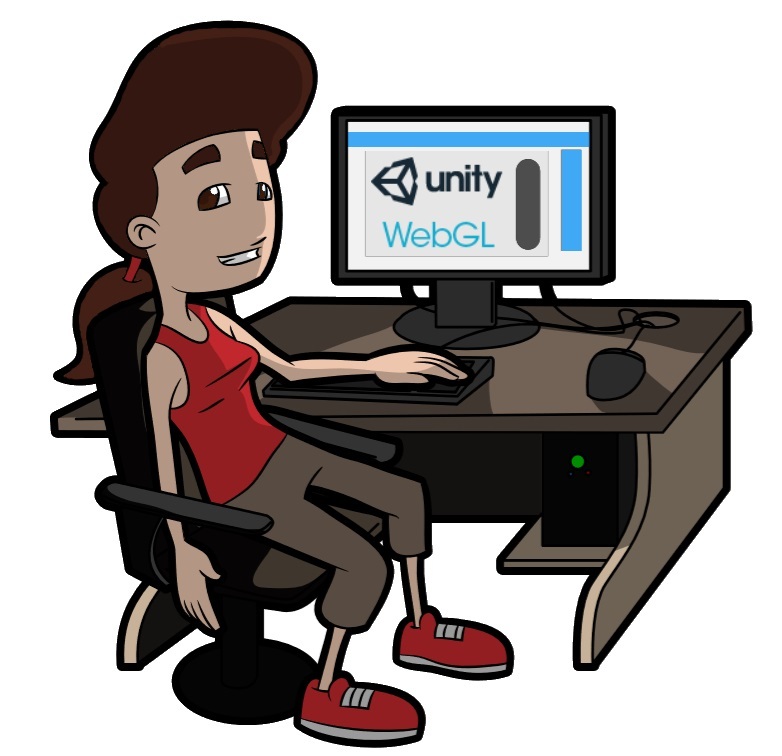 Can Unity Web GL applications access other elements of the webpage? If so, you could add the ability to talk to peoples screen readers by adding a hidden element on the page, marking it up as an ARIA live region and putting text to be spoken in it. This is how some web apps and games implement automatic speech. The benefit of this is that every Screen Reader supports it. Then there’s the question of whether the screen reader would read it out, even thought the Unity frame would have to have the focus and catch all the input from the keyboard. Either way, it’s worth investigating for the convenience alone, because it would allow everyone to use their own screen reader with their very own settings! If there was some way to access that, it would be very nice. Hi Brandon! Yes, I looked into the Web Speech API, but their examples wouldn’t run in my browsers. I don’t know what the reason is, maybe I’ll have to give it another shot. Talkify doesn’t work for the text inside the WebGL rendering (because the text is rendered like an image). I haven’t checked out meSpeak.js, but thank you for the link! It is maybe worth looking into, although I assume that it has the exact same restriction.